The Snapdragon 1000 platform is said to bring more power in a smaller package compared to its corresponding series Intel chipset, making it more preferable by Microsoft. 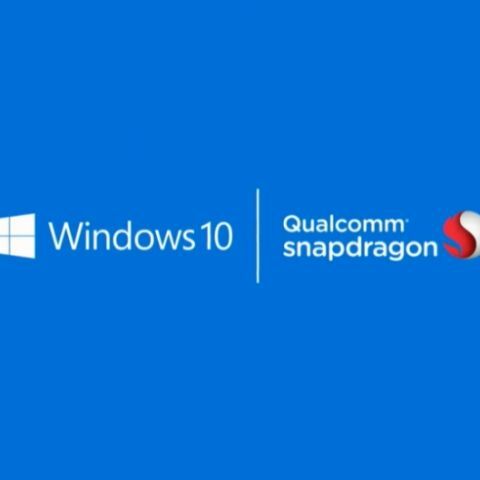 The news of Qualcomm developing the Snapdragon 1000 processor intended to be used for Windows 10 on ARM powered two-in-one convertibles with performance equal to Intel’s U and Y Core processors is not hidden from anyone. If a report is to be believed, Microsoft now intends to use the same SoC in its next generation of Surface Phones and HoloLens under a project called “Andromeda”. A job listing posted by Qualcomm on LinkedIn confirms this development which means that the future Microsoft devices will have Qualcomm chipsets instead of Intel ones. The Snapdragon 1000 processor will reportedly feature a 12W Thermal Design Power (TDP), that is the heat dissipation limit of a CPU. Higher its value, more the power can be delivered to components without overheating. According to WinFuture, the Snapdragon 1000 SoC has a similar TDP to that of Intel’s latest generation of processors. The dimensions of the said Qualcomm SoC is about 20x15 millimeters, which might be larger for a smartphone but is much smaller than an Intel processor in the corresponding core series which is approximately 45x24 mm. The smaller size will leave some space for other components. Moreover, if the report is to be believed, Asus might be the first company to build a laptop running on the new chipset. The prototype device is reported to be called ‘Primus’ and is said to feature a screen with 2K resolution and support the WIGig wireless standards -- an advancement over WiFi. The upcoming chip is speculated to have integrated 4G LTE modems as well as other features for making Snapdragon-powered devices stand out against Intel-powered devices. With a maximum power loss of up to 6.5 watts in comparison to 5 watts in Intel’s corresponding chipset, the Snapdragon 1000 SoC either has higher number of cores or has an excellent performance boost, which is what people are looking for in their machines. Qualcomm’s entry into areas previously reserved for x86 chips could be a boost in its business given that there is not much competition in the segment -- at least in the consumer-centric products. The latest development is quite different to what has been reported earlier. Microsoft HoloLens was reported to be using Qualcomm’s Snapdragon XR1 (its first "dedicated Extended Reality (XR) platform) chipset designed specifically for AR and VR headsets.